Kitchens today are more open to the rest of the home than ever before and can be treated as other rooms by incorporating furniture for storage instead of built-in cabinetry. Furniture is often less costly than cabinetry andprovides the flexibility to change the look of the room more often without a major renovation. Start with the function first then develop the details. Incorporate lamps to soften the lighting. Provide a place for guests to sit when they join you in the kitchen. It will keep them out of your way and will keep you company while you work. Add shelves for cookbooks and displays of dishware; hang pots and pans from the shelf. Put your liquid dish soap in a pretty dispenser and keep on the counter. Put olive oil in a bottle with a spout. Choose durable materials for all surfaces. Bring in a chest for extra storage. Add a small bookcase to stack all of your everyday clutter, like mail, magazines and books to keep the counters clear. 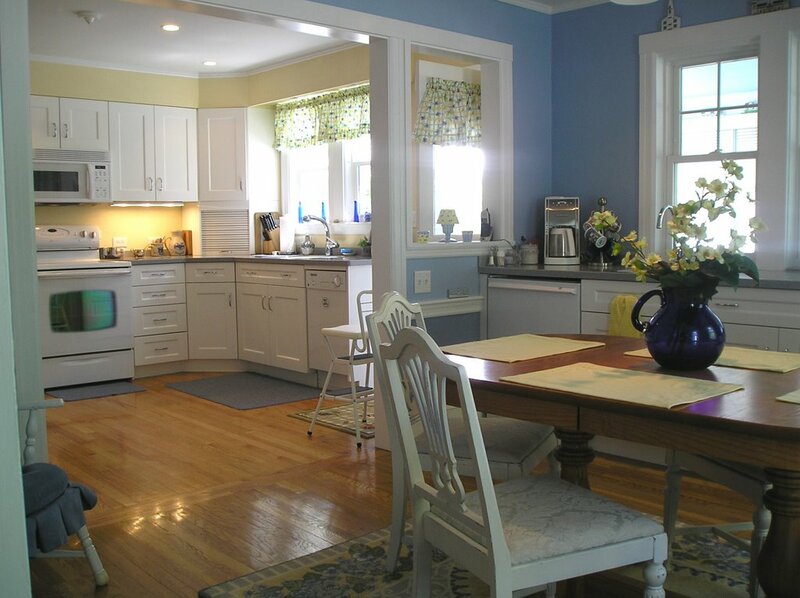 There are many options for kitchen layouts, materials and fixtures. Be sure that you get what you want. Don‚t be swayed by builders, contractors or kitchen showrooms that might try to change your mind. Often, they do this to make it easier for themselves or to up-sell you more products. Knowing what you can afford and exactly what you want will make it far easier to achieve your own unique kitchen.